Icelandic representative for Eurovision 2019 will be determined after two semifinals which will be held at the Háskólabíó conference hall in Reykjavík on 9th and 16th of February. Each semifinal will have 5 entries competing and the top two of the evening will advance to the final which will be held at Laugardalshöll in Reykjavík on 2nd of March. 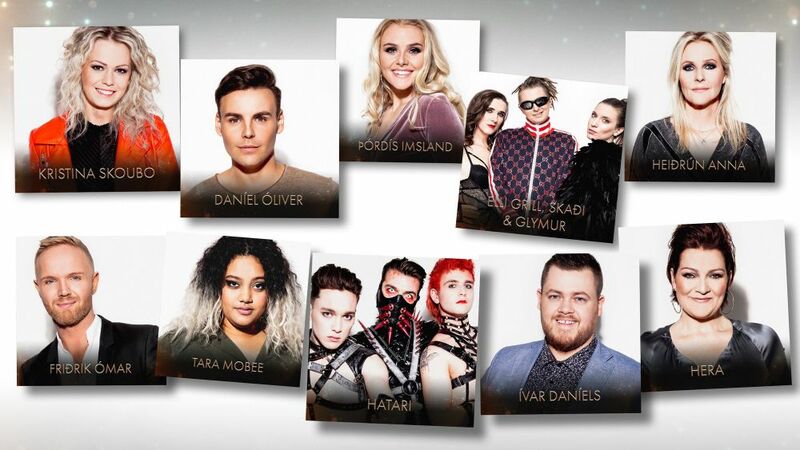 One entry out of the remaining non-qualifying acts from both semifinals will be chosen as a wildcard by Icelandic national broadcaster RÚV and will advance to the final. Friðrik Ómar – Hvað ef ég get ekki elskað? eng. What If I Can’t Have Love? Þórdís Imsland – Nú og hér eng. What Are You Waiting For? Out of the 10 songs participating 8 are intended to be performed in English if chosen while 2 will remain in Icelandic language. Competing artists of this years Söngvakeppnin include two familiar faces to the Eurovision audience. Friðrik Ómar (Iceland 2008) together with Regína Ósk as part of Euroband singing “This is My Life” and he was back-up vocalist in 2009 for Yohanna. Svala Björgvinsdóttir (Iceland 2017) together with Bjarki Ómarsson signs for the music and English lyrics of the song What Are You Waiting For? performed by Þórdís Imsland. Which one of these songs is your favourite? Michela Pace’s first reactions after winning X Factor Malta! Thank you for the songs and text!